A few words from Brittany: One piece from my closet that has been on repeat this Winter is, to no surprise, a coat…duh. But oh what a coat it is! 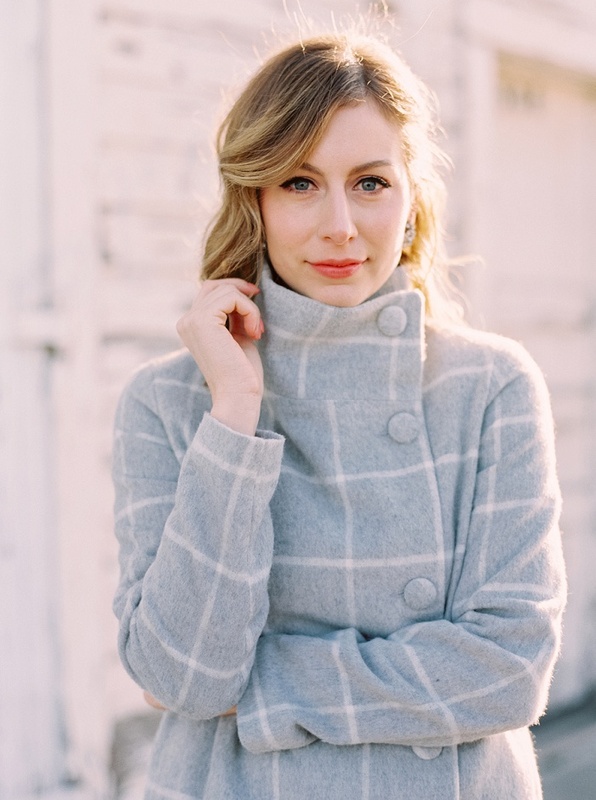 The Margaret Windowpane Coat from Paper Crown is cozy, stylish and (most importantly) versatile. Those who know me should not be surprised at the palette selection of the outfit above because, in typical Brittany style, it includes all of my favourite colours…or rather shades. I adore soft greys, creams, and most of all blush…a far cry from my hot pink and red outfit combos as a child. When it comes to dressing I love to keep things simple and feminine. As a general rule of thumb, if it’s not comfortable I usually won’t wear it. Because I dress like this, I love to add pops of interesting texture or colour into my outfits as well, you know, so I’m not being completely boring. 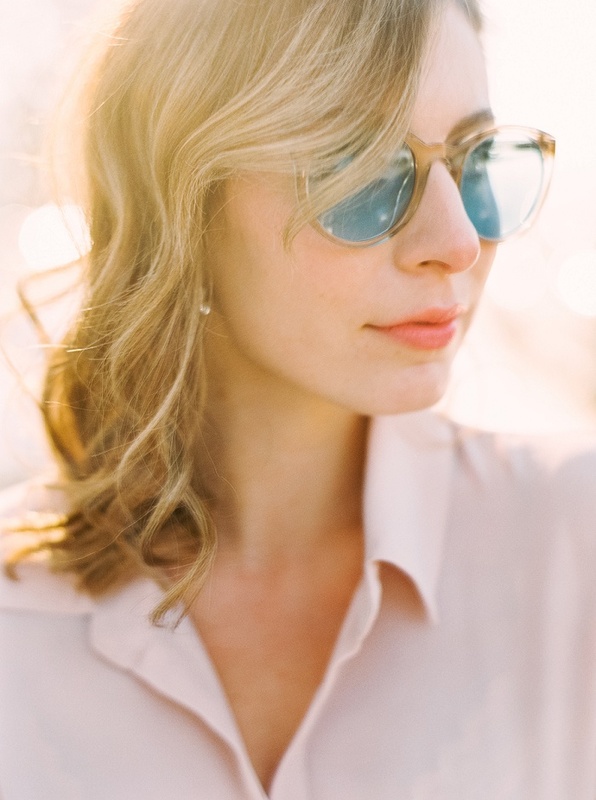 The Finlay & Co Pembroke Sunglasses in light blue are a recent obsession of mine. Actually, scratch that, all Finlay & Co sunglasses are flipping amazing. 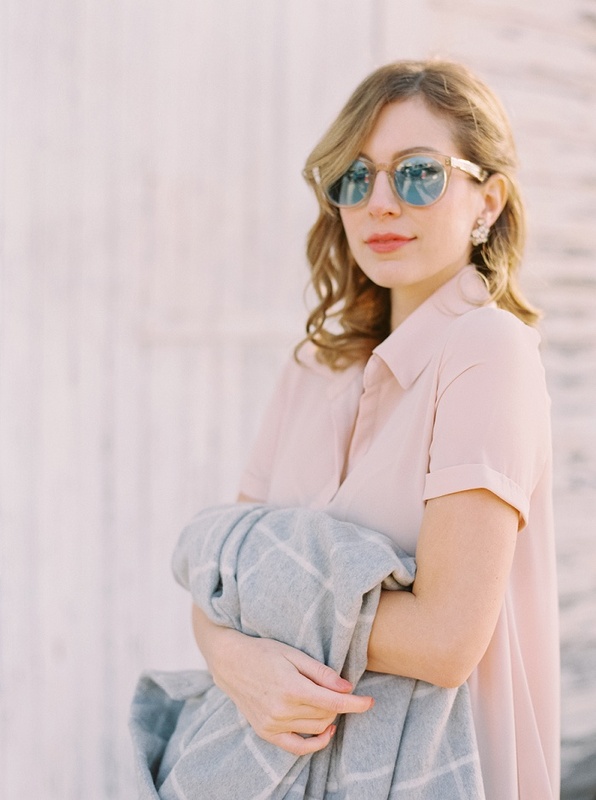 You can see me wearing this pair with their gold mirror clip-on lens in this post and the same pair in tortoise here. Lastly, I’ve accessorized with a pair of vintage Weiss earrings from Sweet and Spark which have quickly become one of my most treasured items in my jewellery box. As for everyday style, this windowpane coat also looks great with a plaid top, skinny jeans, and ankle boots. Or, take a cue from Jess of Prosecco & Plaid and pair with the matching skirt and over-the-knee boots!